The staff are friendly and knowledgeable without being overbearing. The building that Mantra inhabits was formerly a bank, and the art deco style of that time shines through with impressive Italian marble on the bar, walls and columns. 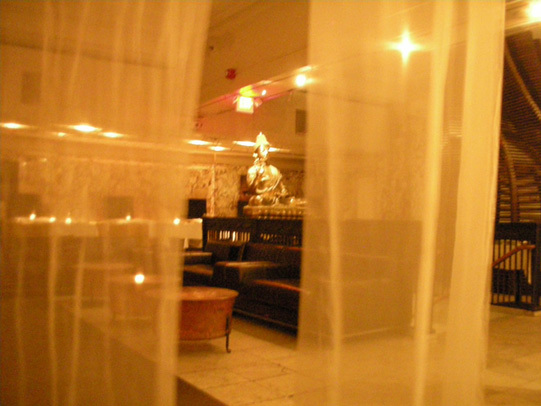 The original heavy iron vault door is the entrance to the Om lounge downstairs. The presentation of the food is beautiful and the finest ingredients are combined to produce dishes of the highest quality. 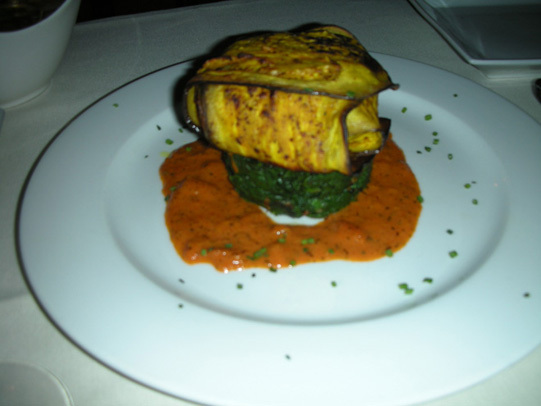 The Goat Cheese and Potato Tikki ($22) delicately blends flavors: the goat cheese potato is carefully wrapped in caramelized eggplant slices, precariously placed on sautéed spinach surrounded by a tomato coulis and fenugreek sprinkles. 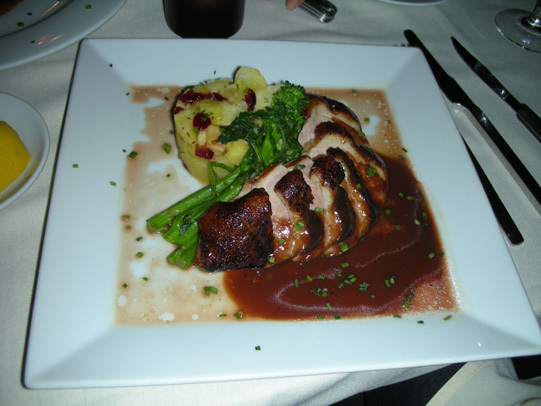 The Cumin Dusted Long Island Duck Breast ($28) is perfectly crispy and tender on the inside, accompanied by sautéed white sweet potato, baby bok choy, spiced cranberry, and calvados juice. 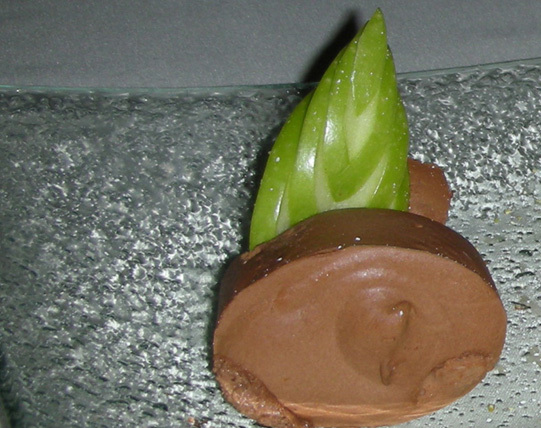 All the desserts are exquisite; the Chocolate Mousse ($7) with a hint of cardamom spice, is delightful. 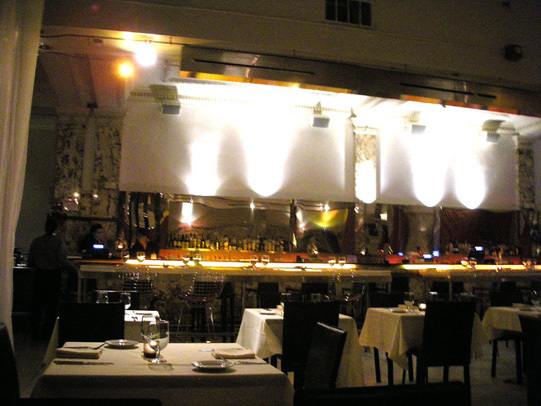 This sophisticated, high-end restaurant, combines exquisite design, with unique French-Indian cuisine and exemplary service.